Fair comment. I feel that the problem occured from the fact that OG needed a rest. No man can keep fighting for space twice a week, alone in the cener of the attack, and that put pressure off WBA defence. The last 20 mins werecrying out for Gnabry. We really needed Ryo to be subbed in this match as he is a legitamate wing threat. The only problem with Ryo is his final ball which can be lacking at times. 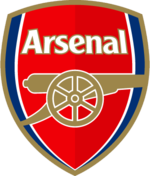 Sooner or later the gunners could not and would not be able to sustain the winning run.It's better to draw and start another another winning epl run of five to six games.It aint going to be easy . Arsenal ,as I have said before,need someone to run at defender. This will send the defenders into panic and could lead to goals. We will have to wait and see whether the likes of Walcoot and Chamberlain can lift the gunners. Mesut is going to be a marked man and soon.All epl managers will find ways and means to stifle him. It's better not to rely 100% on him for creativity. I remembered Wright was 90% Arsenal's goal threat. Ther were games when he was neutralised and stifled and Arsenal drew or lost.